That pitcher was Gunnar Sandberg. Little did I – or anyone, really – know at the time that this incident, and resulting concussion and brain injury (not to mention his remarkable recovery) would spark nationwide debates about baseball bat composition and protecting pitchers from concussions. Until then, I didn’t think too much about concussions in youth baseball, frankly. Football? Sure. Soccer? Occasionally. Basketball? Rarely. Baseball? Only if you’re an outfielder and you conk heads with another fielder going for the ball (see Johnny Damon and Damian Jackson in the 2003 AL Division Series). The scary truth is that concussions are more widespread and common in youth sports—all of them—than we think. Did you know that between 1997 and 2007, the number of emergency room visits by high school athletes suffering concussions rose from 7,800 to 22,000. Those are the numbers published last year by the medical journal, Pediatrics. Scarier, yet, is the fact that many kids re-enter a game or practice after experiencing a concussion because coaches – and parents – don’t know what to look for, and, remarkably, there is currently no oversight to determine when a child can return to play. Many state legislators and youth sports organizations are beginning to wake up to the fact that youth concussions are serious business and need to be monitored more closely. The National Football League and the NCAA are advocating state legislators across the country to adopt legislation similar to Washington state’s Zackery Lystedt law, which was passed in 2009 after Zackery, a star youth football player, was allowed to return to a game after suffering a severe concussion. Already, 28 states have followed suit, signing similar legislation in the last few months. The athlete will not be allowed to return without written permission from a medical professional trained in concussion evaluation and management. Interestingly, some youth sports leagues are instituting their own policies regarding concussions. Pop Warner, the nation’s largest youth football organization, amended its rule book to enforce a more stringent return-to-play rule that mirrors the Lystedt Law. To-date, Pop Warner is the only sports league to protect its players nationwide, whether or not the state in which a player lives has passed Lystedt Law-like legislation. As a sports parent, I am both pleased and saddened to see this legislation. Pleased, because we are taking steps to protect children against hyper-aggressive coaches and uber-competitive parents. At the same time, I’m disappointed that we need laws and legislation to protect our children’s long-term brain health. In my next blog, I’ll be covering the warning signs of concussion, so you can advocate for your own child or players on your team. Also, I’ll talk about some of the short-term adjustments in activities and education (yes, the effects do linger and impact learning!) that children with concussions should make. What do you think about concussion legislation? What else can we, as parents, be doing to protect our children from the rise of concussions in youth sports? August 2nd update: New legislation was recently presented in Washington by the Center for BrainHealth that may have a significant impact on the continuum of care after a brain injury. The Center laid out the Pediatric Acquired Brain Injury (PABI) Plan for standardized care for children and young adults who have suffered a traumatic brain injury. View the full details here. 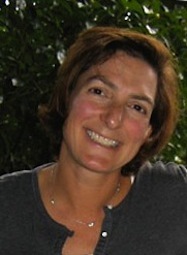 Emily Cohen is a freelance writer living in Berkeley, California. She is the mother of a son and a daughter who both play multiple sports. She has been a team manager for her children’s soccer, baseball and softball teams.